The number of bloggers in the world are expected to reach 31.7 million by 2020 - which is both encouraging and a little scary. Encouraging in the sense that it shows the importance of blogs - but also a little shocking to realise that this is the amount of people you will be competing against for your reader's attention. Before we begin with how to write a killer blog, let's start with the basics. For those who aren't aware of what blogs are, blogs are an effective source of written content that discloses information, provides helpful tips, advice and more in order to connect with a select group of people. It also comes down to presenting those ideas is a way that would be appreciated by readers. And for the sake of your SEO, blogs are a must! A lot of SEO service companies (as well as general digital agencies around the world) will vouch for the importance of blogs. It shows Google that you aren't just sitting on your hands, and that you're actually updating your website with new and informative information that will be useful to their searchers. But not doing it right can end up exhausting your business or your digital agency's time and resources, with no valuable returns. Why aren't my blogs performing well? So you write (what you believe) is an amazing blog, you publish it, wait an hour to eagerly hit the refresh button to see that your view count is a sitting goose egg. What exactly went wrong? Weaving a string of words together, making it sound beautiful, and crafting an engaging piece is what many writers think is enough to handle and attract a large number of people. Surely, that's the key right? While it's standard to write in a nice way, it's not the whole story. To attract the traffic you could only dream of, there's a lot more that you need to take into consideration. As competition is high and there's a lot of people vying for (excuse our sales oriented jargon) the largest market share - it means that without strategy or direction, you're essentially going to be swept under the Google rug. But alas, that is why we are here. 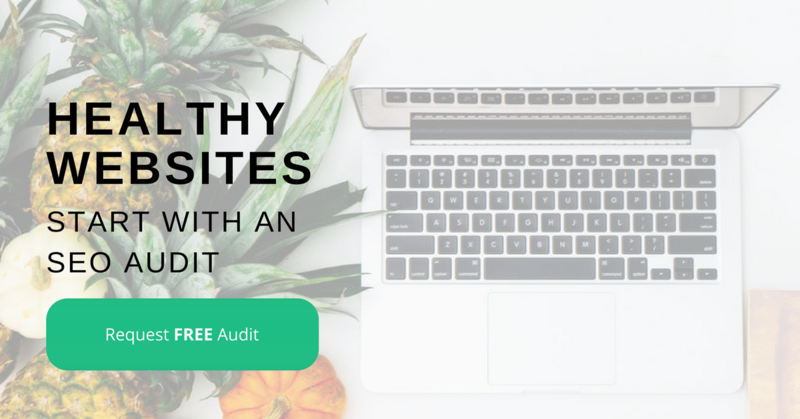 As a company that lives and breathes SEO, we have some proven methods that will not only help the quality and view count of your blogs - but also the longevity and consistency of your blog traffic. What are our 7 traffic driving tips? Sounds mythical, but what does it really mean? Creating evergreen writing means that your content will hold value for many years to come. Think about it, you spend hours a day cycling through all these articles and reports to create one long, beautiful piece of writing - so there's no point in creating something that will only be good for a day. For consistently good traffic, you want to draw out the lifecycle of your blog by creating content that will always be relevant. Depending on what type of blog your writing, be aware of any specific timestamps you might be putting on your blogs, e.g. 'best blog traffic driving tips in April 2018' might be relevant to searchers for this particular period, but Google will see it as outdated in a few months time. This means that this topic is unlikely to drive constant traffic. Experiment with headlines. Depending on the type of audience that your industry has - specific types of titles might hold more appeal than others. For example, while a quirky topic might work for a clothing brand or a food review website, you won't necessarily be able to use that effectively in a financial investment blog. One handy stat to have is that 36% of people are attracted by list-based headlines - so incorporating these into your headings might be a good idea. Update the blog page often. To boost traffic to your website, you would do this by adding more blogs. To boost traffic your specific blog, it would mean adding or modifying content on that blog. This will indicate to Google that the information on your blog is constantly being updated - so is increasingly relevant. Have a good start. Again, depending on your audience, you might want to start off with a funny analogy, you might want to come off as casual and aloof, or perhaps you just need to sound like an expert. A good place to start if you're new to blogs is to look at competitor's blogs - see how they write, and whether people are responding well to it. One way to do this would be searching for that particular topic and seeing who's ranking at the top. Why are they at the top? What can you take from that? Write content based on specific needs, problems or pain points. Don't spread yourself too thin by trying to cover everything you could think of. As soon as you drift too far - people will leave your page, which impacts your SEO, ultimately impacting people's ability to find your blogs. Websites with a blog section have 434% more indexed pages on average - because through keywords incorporated in the writing, it allows search engines to more easily find meaningful and relevant content in your website, to recognise the resource, and to crawl and index your website. However, nowadays with all the changes in algorithms, people are afraid of the consequences of accidentally doing something unfavourable to their SEO. This is what causes a preference for a lot of businesses to not do anything on their website, as they believe it will reduce the possibility of their website becoming penalised. But one thing that a lot of blogs and websites are missing are keywords. In fear of keyword stuffing, businesses don't pay that much attention to adding keywords to their content - which means that a lot of the times, Google won't even be paying any attention to the website. For example, if you want to rank for your white chocolate and raspberry scone recipe, how are you going rank for it if all you provide are the ingredients without ever mentioning what you're actually making? The key difference between keyword stuffing and including keywords will be very noticeable to you when you write. When you're writing your content - are you writing naturally? Or are you consciously forcing keywords in where they don't belong? If it's the latter, you're probably keyword stuffing. If you feel yourself naturally writing those words as you go - you're doing fine! It's not about the number of the keywords you have, but the way you use it and fit it in the content that matters. Don't stuff keywords in the content to saturate search queries. One of the most effective forms of keywords are your long tail keywords. These are comprised of 3+ words, and usually have less competition and higher quality traffic (people who are genuinely interested in your offerings). To get the most out of your blogs - you should push this content on social media after optimising the content with keywords and value. With 66% of marketers indicating that they had promoted blogs through social media in 2017 - not only is it an effective way to engage your audiences, but it's also an effective way to drive traffic. But a key thing to consider is where you want that content amplified. While your target audience is out there somewhere waiting for you to shower them with your knowledge and facts, you don't want to waste your time trying to promote content on the wrong platform. Something that is often not acknowledged by businesses that wish to be anywhere and everywhere is that your business may not be suited to a particular platform. So rather than trying to be everywhere, think long and hard about who your audience is and where they might be. For example, LinkedIn is a business networking platform that allows people to connect. If you were selling garden soil, would you post photos and articles on here when people are trying to find valuable business connections? Probably not. With Google Analytics you can uncover where your audience is coming from. After discovering this, you should consider posting important events and articles here - and to drive discussions. When a reader clicks on your blog, does it open in a mere 1-2 seconds or does it take forever? Given the shortness of our attention spans (and no we're not proud of it), no viewers will wait even 5 minutes for your blog to open, even if you are one of the top influencers. Viewers would move to other blogs that provide them quicker results. To check the loading speed, use tools like Google's Page Speed Insights and SpeedTracker. To optimise the speed of your website, this article explains how exactly you can go about optimising your website's speed. As an SEO company in Melbourne, we also understand the need to have mobile-friendly sites because more than half of the world surf the web on their mobile more than on a desktop. Users spend over 3 hours searching and reading on their tablets and mobiles every day. So make sure you're keeping your blogs readable, responsive and accessible on mobile devices. Blog posts that have images get up to 94% more views - and we aren't exactly surprised. There's nothing more mind numbing then going into a blog to see a huge wall of text with nothing to break it up. By simply adding meaningful images and having it optimised will drive more traffic to your blogs - and what more can you ask for? It actually makes sense that surveys are showing how individuals stress out and are confused when they are confronted by dozens of sharing buttons on blog posts. Keep it limited and allow the audience to enjoy the blog without being obstructed. This gives them a better experience. When you've chosen the platforms for sharing, you can then ask your audience to share the blog. Bloggers who have actually asked for sharing got 30 times more retweets per tweet. So rather than shying away from asking, just do it, and see how it will benefit your blog traffic! Firstly, look how often you can create the content for your business. Whether it's the service you sell, or because you have a cooking show, or to provide tips on fashion - make sure that you're analysing your reader's eagerness to learn new things. When you understand the frequency of visitors, plan it on the calendar to provide content to your readers when they want to consume it. What did you decide? Twice a week? Or alternate days? Whatever it is, just plan well. It will give you time to create good content before the release date. We're a huge fan of creating content repositories. When you have a bit of time up your sleeves, you can write and store content for later use. This will allow you to create better quality content rather than needing to create it on the go. And remember, once you've already created content that people know and love, you can start turning it to other formats. When it comes to driving more traffic to your blog, it comes down to 2 main factors. One is the content itself, then the second factor is to make sure it is optimised - whether it be through SEO or amplification on social media. These tips that we've provided aim to do more than drive traffic to your blog in the short run. The knowledge that we share also aims to improve the SEO of your blog to make people stay longer, ultimately making it more visible on the search engines in the long run. We also preach about the importance of creating blogs that hold a lot of value to both people and to Google. This means that the content will be good for years.